By summer of 2007 Heroes has become a huge success and the site has grown at a tremendous rate. 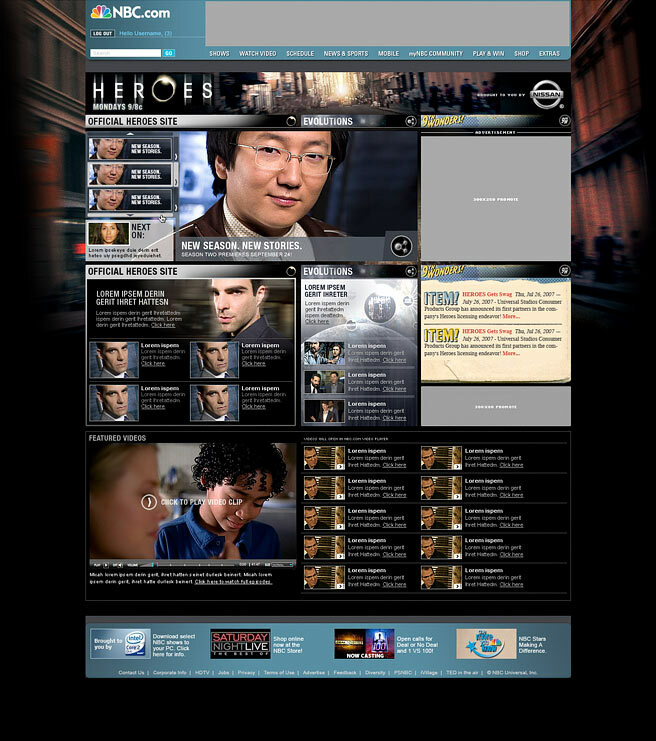 I came on board the Heroes team late summer '07 for the Season 2 redesign. The print team already established the new key-art. Besides the new look and feel there was a whole laundry list of usabilty, functionality problems, which had to be solved. First off, the homepage should give a visual indication, which content is part of "the Official Heroes Site", "Heroes Evolutions" and "9th Wonders".